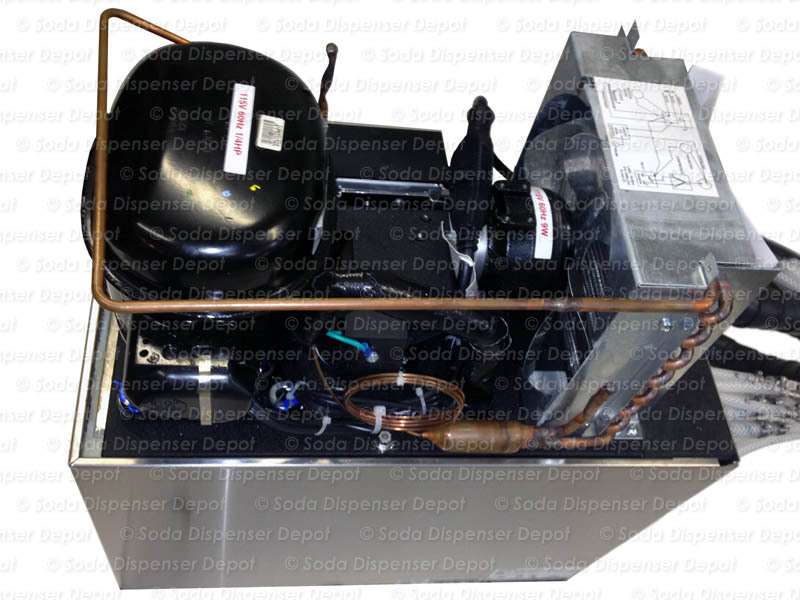 Complete seltzer draft arm soda fountain system with "cylinder" style draft arm and remote chiller. 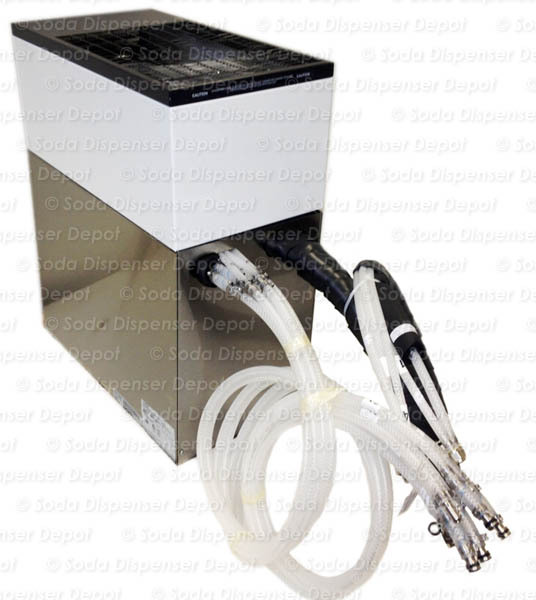 This complete system is designed for home or office use. 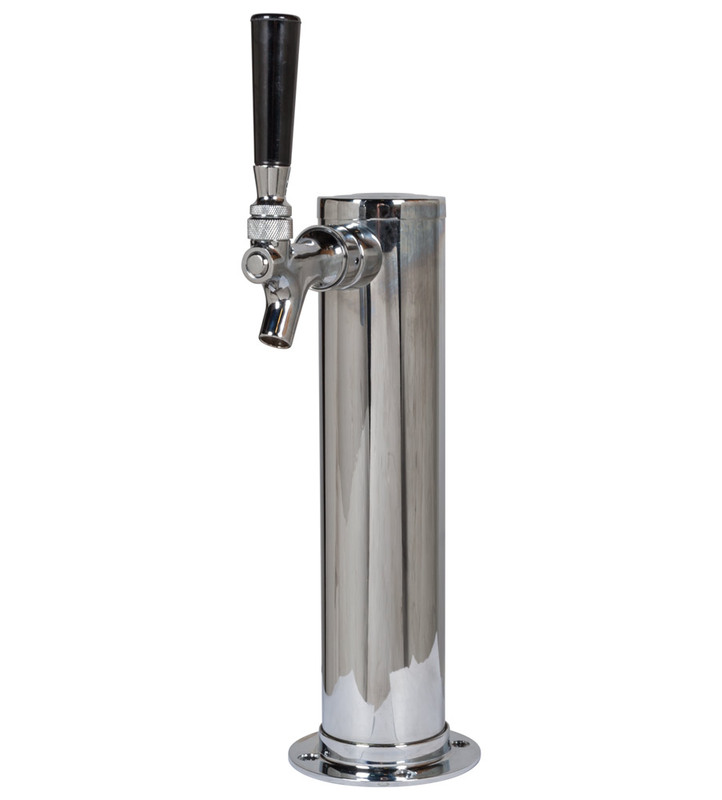 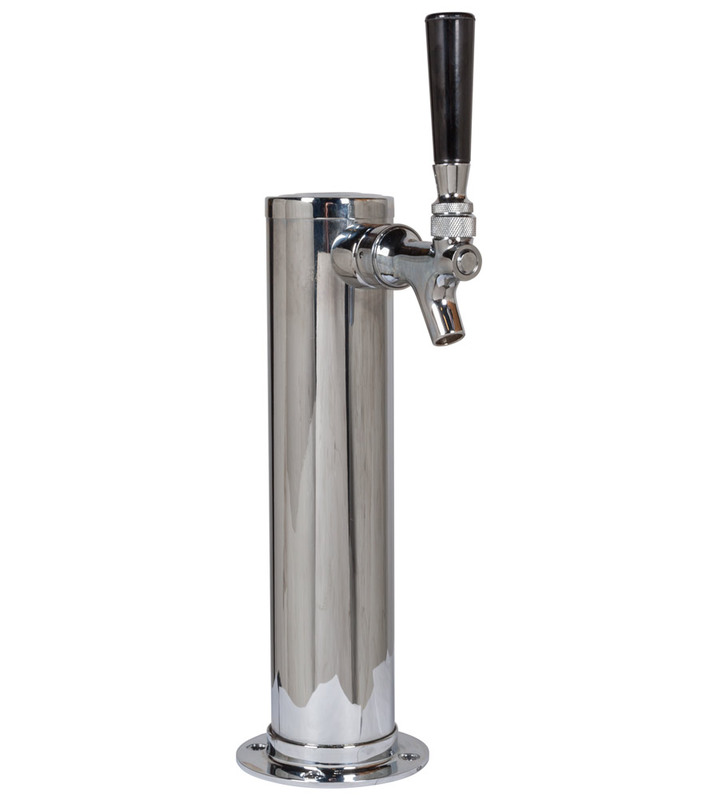 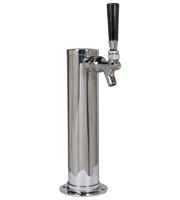 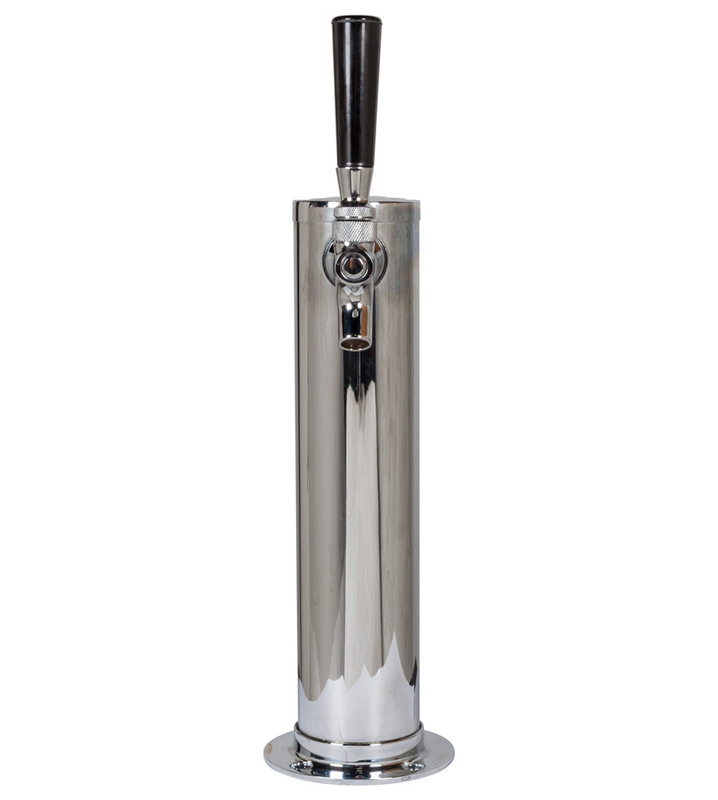 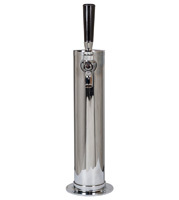 The 2.5" diameter cylindrical stainless draft arm is compact in size, stands 14.5" tall, and blends in a variety of settings without eating up valuable counter space. 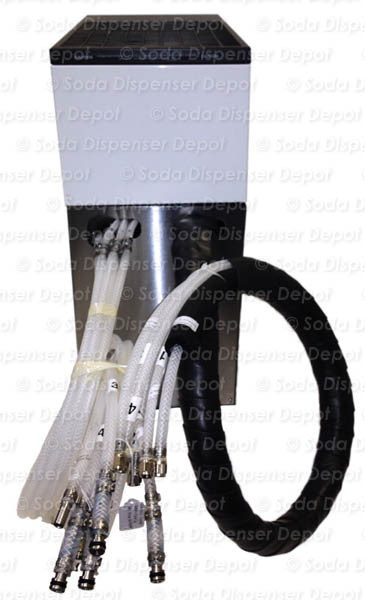 The dispenser is insulated to prevent warming during slow serving periods. 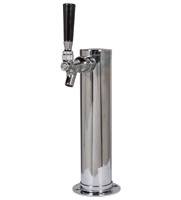 Dispenses seltzer only. 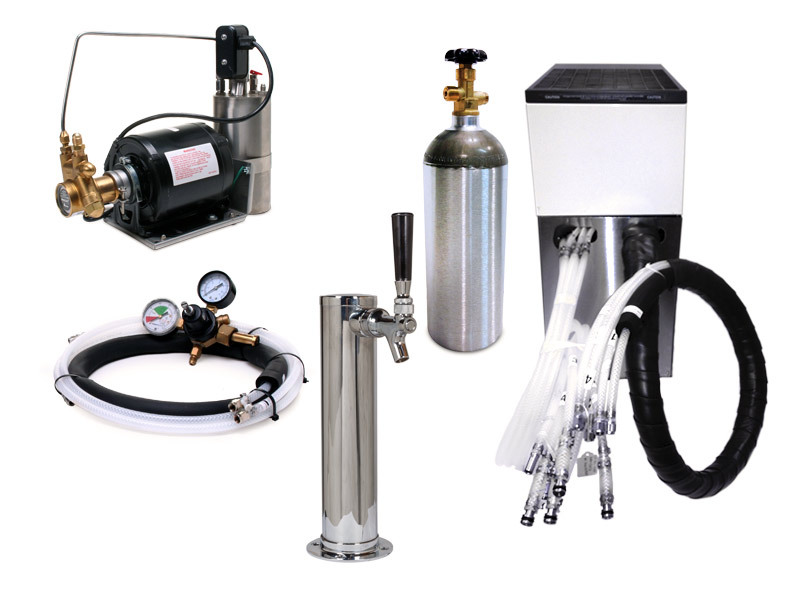 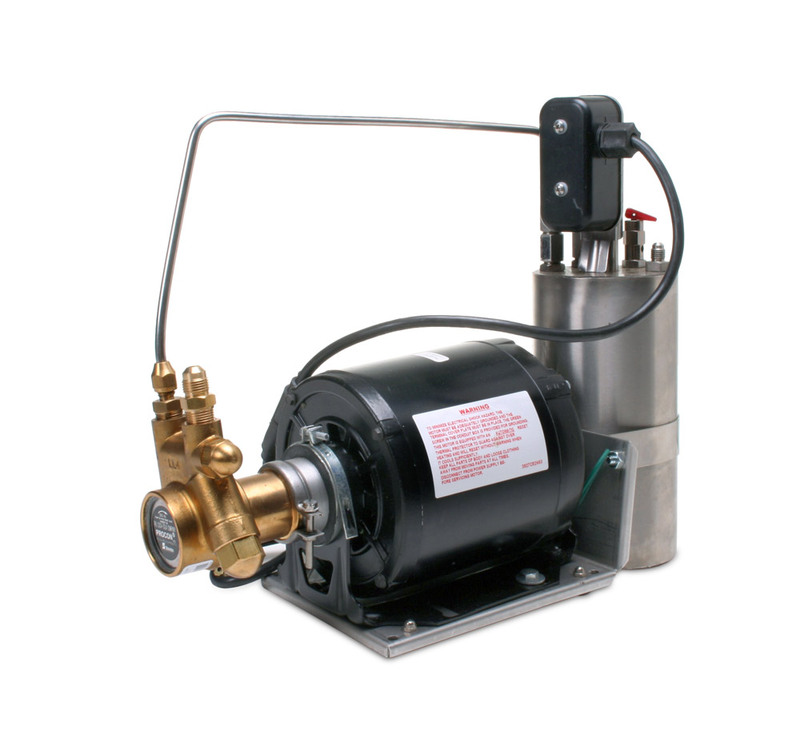 Also included: Primary CO2 regulator, high pressure hosing, carbonator, remote chiller, and CO2 tank.